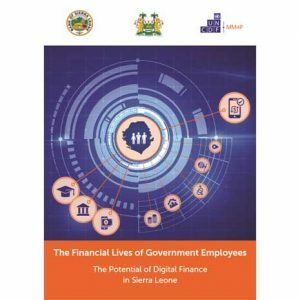 PREFACE: With the rapid mobile penetration in emerging economies, FinTech may easily be the buzz word or the flavor of this decade. its own as a mainstay service sector. 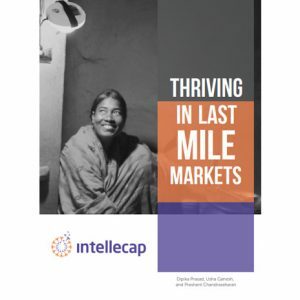 Intellecap, supported by the Rockefeller Foundation, conducted in-depth research over a period of 5 months on key areas of momentum around post-harvest losses (PHL) in India. This report synthesizes insights from this research and presents the important roles the government, civil society organizations (CSO) and the private sector play in addressing PHL and improving smallholder farmer (SHF) livelihoods. The report is divided into four main sections dedicated to key phases in the post-harvest value chain. 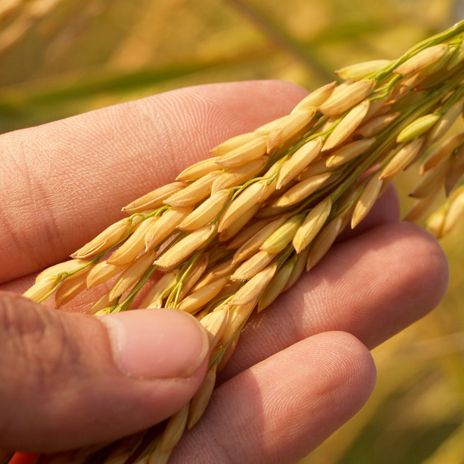 These include harvesting and primary processing; storage and crop protection; processing; and market linkage. Each section presents an overview of sector-specific activities and identifies key factors affecting PHL, important trends and innovations, as well as opportunities and white spaces to generate social impact. An additional section covers insights around different aggregation models and mechanisms that agriculture sector actors can leverage to reduce PHL and strengthen SHF market access. with social defaults that ensure physical and mental well-being? What are the choices that we must make today to ensure this? food, and good work as foundational human rights. Bringing essential services to the poor, whether in remote rural areas, provincial towns, or in the slums of megacities, is a great challenge for governments in developing countries. Lack of governmental capacity and fiscal resources at the national and local levels prevents effective public provision of water, power, education, and health services to the poor. 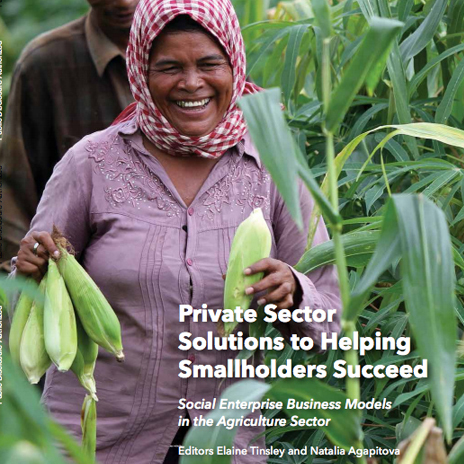 And private firms, which often step in to serve the middle and upper classes, are dissuaded by high risks and low affordability from providing these services to the poor, or what is sometimes referred to as “the last mile.” In contrast, social enterprises have been able to provide basic goods and services to the poor. This is the gap that the present book aims to fill. It catalogues over 40 of the most effective market-based solutions for service delivery to the poor brought about by social enterprises. 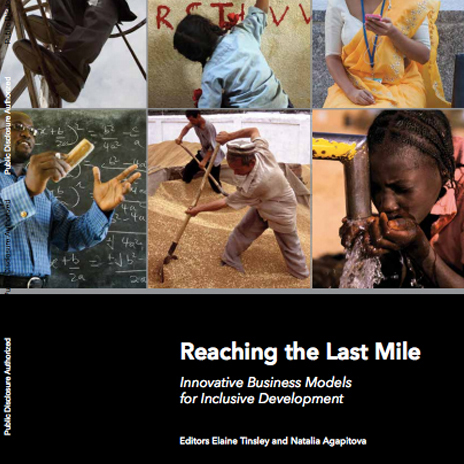 It tracks how stylized business models have been developed to address development challenges. The sectors covered are education, energy, health, waste, water, sanitation, and finance. The book’s analysis employs and greatly benefits from systematically applying a common framework that helps explain the relevance and implementation of the model for even general development practitioners. Green sectors, such as renewable energy and sustainable agriculture, are the key to realizing sustainable growth. The economic potential is significant: Investment in green sectors in developing countries is expected to reach $6.4 trillion over the coming decade, with $1.6 trillion of that investment accessible to small and medium-sized enterprises. But what does it take to promote the growth of these sectors? 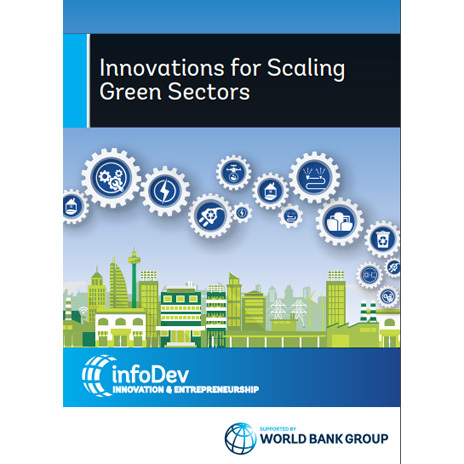 This study analyzes the common challenges that have limited the scaling of green enterprises and competitive green sectors in developing countries. It also uncovers and catalogs new opportunities that offer the potential for scale-up and growth. 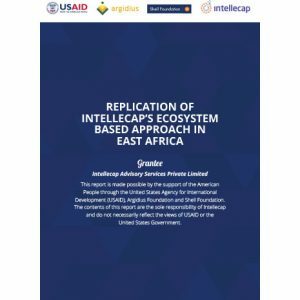 The study enabled by Intellecap, focuses on enterprises operating across five green sectors—climate-smart agriculture, renewable energy, solid waste management, drinking water purification and management, and wastewater management. 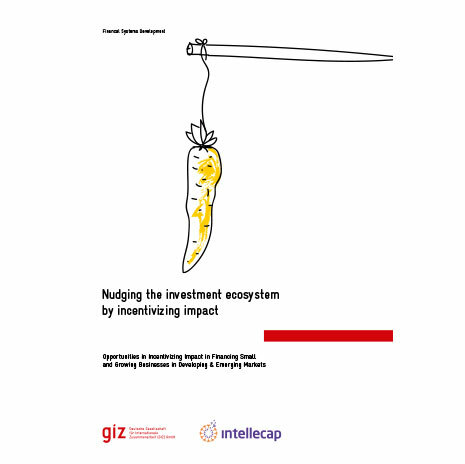 Within these five areas, the study takes a deeper dive into seven subsectors that provide an interesting mix of business models, offer insights for other subsectors, and highlight innovative responses to the common challenges that green sectors face. This publication by Intellecap in partnership with Shakti Sustainable Energy Foundation is a pre-cursor to a comprehensive Monitoring & Evaluation platform being developed to standardize performance measurement in the DRE sector. 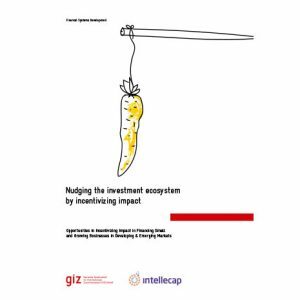 The framework presented in the publication attempts to facilitate more informed decision-making for investors, lenders, and donors by developing relevant metrics and benchmarks around these for comparison with industry aggregated data. The metrics and benchmarks are being developed for specific sub-segments within DRE including standalone systems and mini-grids. 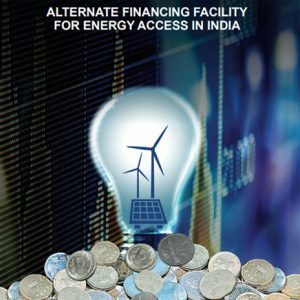 This publication by Intellecap in partnership with Shakti Sustainable Energy Foundation, New Delhi reviews the financing needs of Decentralized Renewable Energy (DRE) enterprises across various growth stages as well as business models and explores the design of alternative structures to seal the gaps in the prevailing Indian scenario. 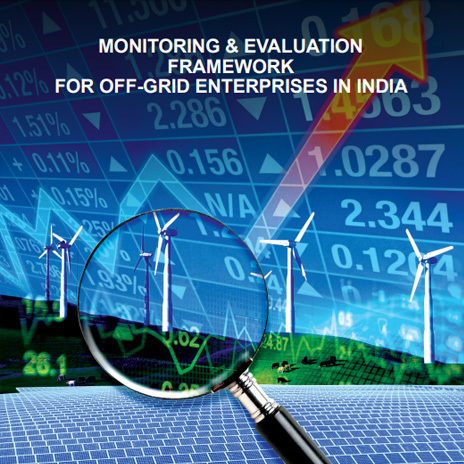 DRE enterprises in India, particularly those involved in rural electrification as Energy service companies (ESCOs), face challenges in accessing finance on account of high-risk perception and low overall returns with longer paybacks. 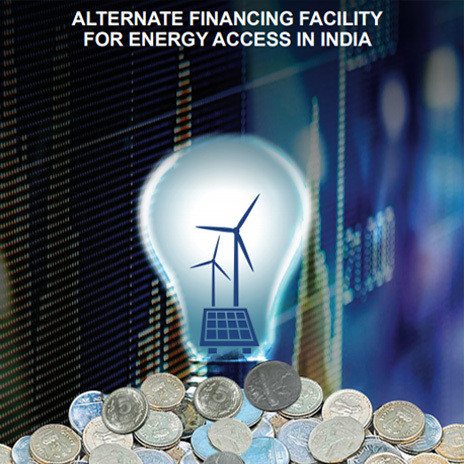 The absence of suitable financing and capital that is high-risk low-return has limited the wide scale impact these enterprises have on low-income populations by enabling access to clean energy and generating livelihood options using energy as the enabler. The report highlights our vision of how emerging technologies can trigger a set of big shifts to help Africa leapfrog and combat its development challenges. Our research indicates that although early evidence of these shifts is already visible signaling the beginning of Africa’s innovation journey, signiﬁcant whitespaces currently exist. 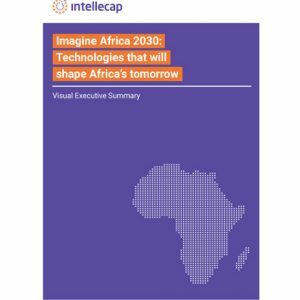 The report identiﬁes these key innovation whitespaces based on scanning of 100 technology use cases in Africa. 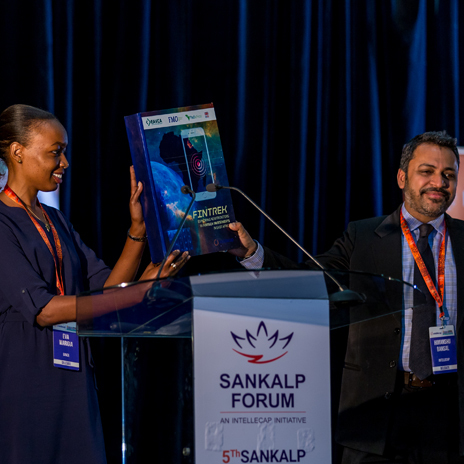 It concludes by identifying a set of opportunities these whitespaces present for key stakeholders to help nurture a vibrant and high impact technology innovation ecosystem and in the process, become a part of Africa’s journey towards economic transformation. 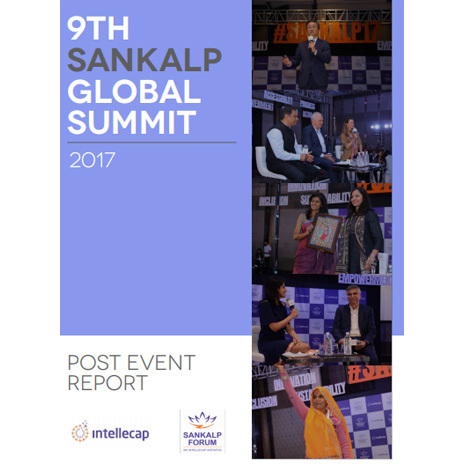 The following visuals help stitch together and narrate the key ﬁndings, insights and takeaways from the report. accounting for a sizable chunk of this market. Popularly called ’last-mile markets‘, this report sheds light on their preferences and a blue print for thriving in these.